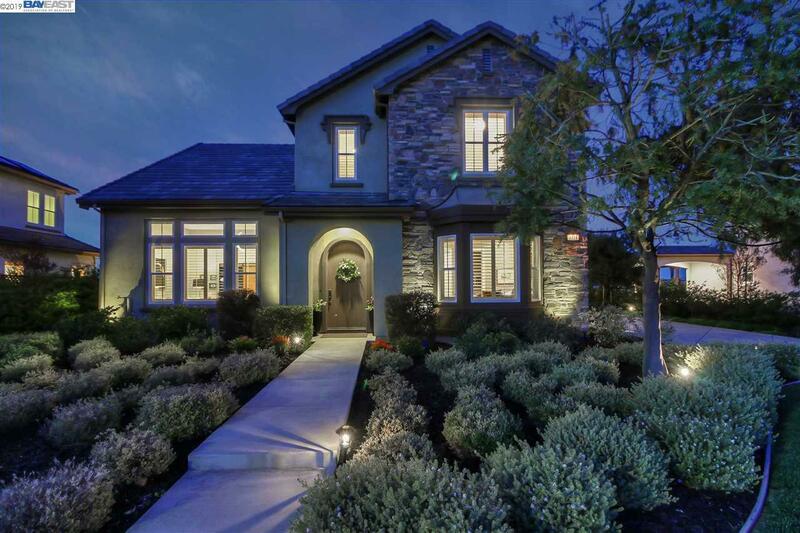 This highly upgraded Toll Bros. home was built in 2013 and offers a serene view of the estate vineyards and surrounding foothills. Beautiful limestone floors flow through the entry to the formal dining room, kitchen, and family room. The fabulous gourmet kitchen features a large island with counter seating and a sink, warm hickory cabinetry, a marble basket weave backsplash, granite counters, stainless steel appliances, and a built-in desk. The kitchen is open to the family room with a fireplace, entertainment cabinetry, surround sound, and garden views. The luxurious master suite is located on the first floor with high ceilings and crown molding, views of the garden and sumptuous master bath with soaking tub and large shower. Entertain friends on the large patio or dine alfresco under the lighted pergola.Â Enjoy nearby trailsÂ and wine tasting at local wineries.